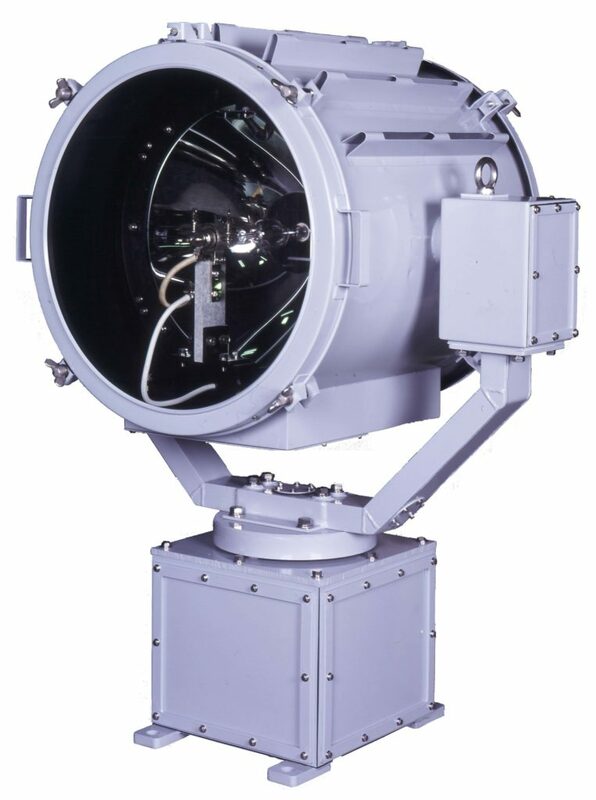 Type of lamps for this searchlight is the „Xenon“,and operated for „Elevation“,“Turning“and“Focus adjustment“ by the electric remote control panel. 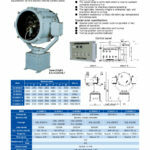 Achieved to be longer the lamp lifetime,stronger for the voltage and frequency fluctuation by particular electric design. Excellent resistance to heavy vibration,high temperatureand strong wind. Variable control with elevation and turning.